MVNO (Mobile Virtual Network Operator) is a mobile service operator that does not have its own network infrastructure for providing mobile services to its customers. Instead, MVNOs lease network capacity from existing mobile carriers and then perform service provisioning and billing under their own brand names that are different from the carrier names. In the MVNO model, PortaBilling® provides the customer management, rating and invoicing platform. 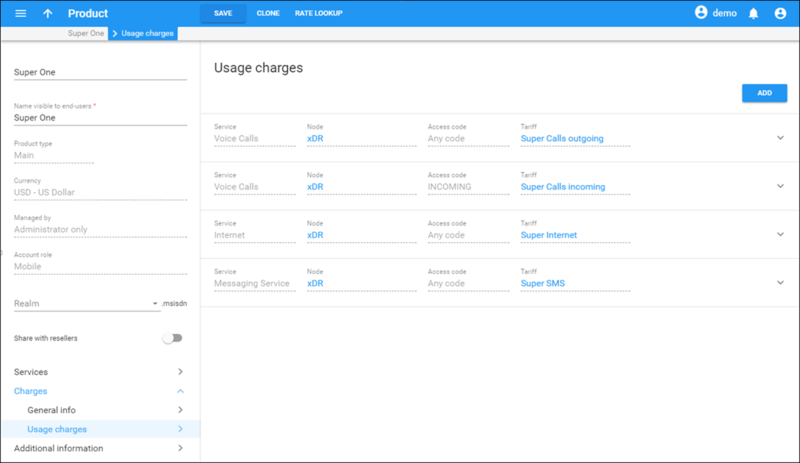 End users use the mobile carrier network but are billed by the MVNO. As PortaBilling® is at the core of the MVNO network, it interacts with the mobile carrier. The interaction can occur in real-time, meaning that real-time user authorization and rating are performed. Alternatively, MVNOs can also operate without real-time authorization and rating. In this case, data acquired from the mobile carrier is imported into PortaBilling® for processing and creating customer invoices. This chapter demonstrates how to configure PortaBilling® for MVNO without real-time authorization and rating. · The format that the carrier will use to send xDRs so that they are correctly imported and processed by PortaBilling®. PortaBilling® has flexible tools for handling these aspects individually. Account management is done by developing the special ESPF (External Systems Provisioning Framework) which will map and transmit all events occurring in PortaBilling® (account activation, balance top up, service suspension, etc.) to the carrier’s network. The xDR Mediation utility performs the xDR import according to the carrier’s CDR format. It can be configured to import xDRs in any format so that PortaBilling® can properly process them and correctly charge the customers. Please submit a request to support@portaone.com for the ESPF and xDR import configuration guidelines and assistance. You are the MVNO operating on the Vodafone network. You provide the service bundle, which includes voice calls, Internet data transfer and messaging, to your customers. At the end of each billing period Vodafone sends xDRs to you that are then imported into PortaBilling® and processed. Customers are invoiced for their service usage based on this acquired data. 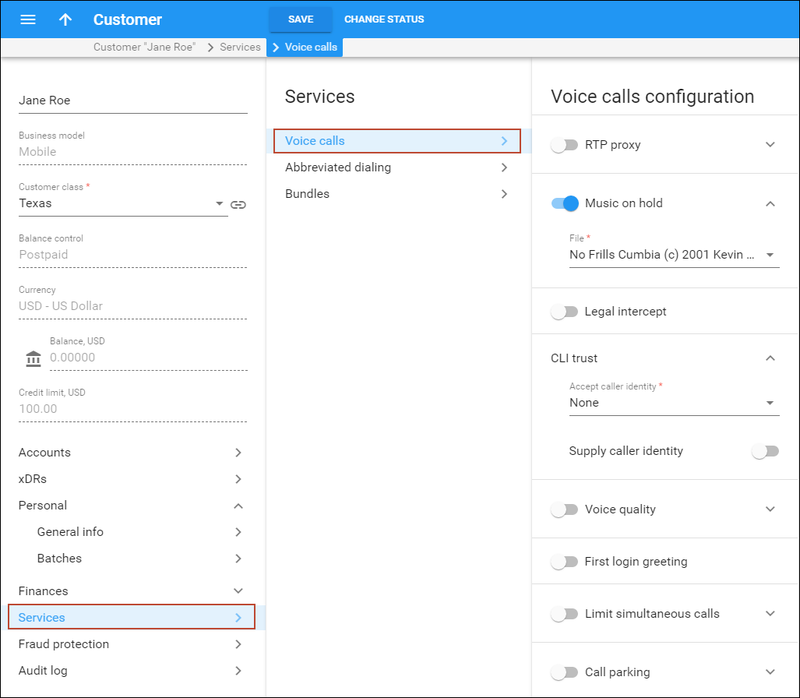 The steps below first demonstrate how to configure the Voice Calls service. After you are done with Voice calls service, configure the remaining Internet Access and Messaging services as described in the Broadband Internet Access Services and SMS Services handbooks, and include them in the bundled product. Since there is no unified interface for mobile core systems, the modules are individually developed for you. Please refer to the PortaSwitch® External System Interfaces Guide for guidelines to the ESPF configuration. For further assistance, please contact our support team by submitting a request to support@portaone.com. Prior to configuring the xDR Mediation utility, obtain the .CSV file from your carrier that contains examples of CDRs to be imported to PortaBilling®. Submit a request to support@portaone.com for assistance with implementing and configuring the module for the xDR Mediation utility. If you wish to configure the xDR Mediation utility on your own, follow the instructions provided in the xDR Import Configuration handbook. At this step it is necessary to create a node that represents the xDR Mediation utility. 5. Client protocol – Leave RADIUS, since the xDR Mediation utility (node) must be able to communicate with PortaBilling® via RADIUS. 6. RADIUS key – Specify the authentication key used for communication with PortaBilling® via RADIUS. Specify SecretKey here. The tariff is a single price list of calling services or for your termination costs. PortaBilling® requires that every call be accounted for both on the revenue side (customers) and on the cost side (vendors). Therefore the tariff is used to calculate your costs. · Upload the rates for geographical destinations according to the tariff sheet acquired from the carrier. 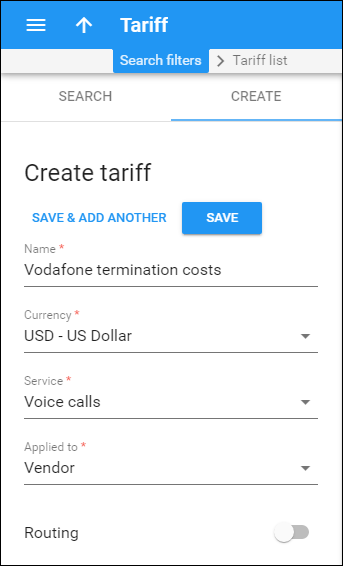 Perform the Create Tariff and Enter Rates steps described above until you have created tariffs for other services you provide (LTE and Messaging services). Vendors are your termination partners. PortaBilling® requires that every call be accounted for on both the revenue side (customers) and on the cost side (vendors). 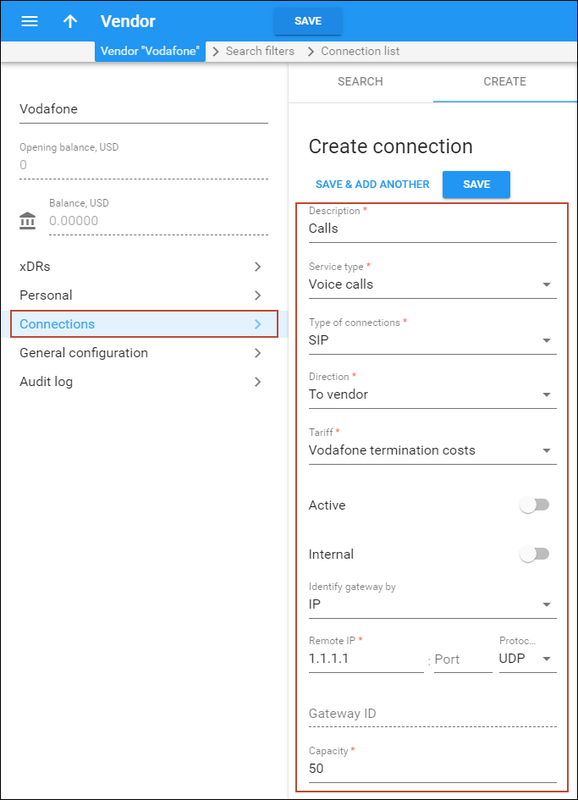 In the case of calls going via the mobile carrier’s network, no vendor (in the traditional sense) is involved – so you still need to create a vendor which will be used to keep the xDRs for these calls. This vendor and the connections to the vendor are required in order to properly bill for calls. A connection represents the point from which calls leave or enter your network and are directed to or from vendors where charges are incurred. · Internal – Leave disabled. · Identify gateway by – Choose how to identify the gateway: If your vendor mentions which gateway was used for your calls in xDRs, mention this gateway’s IP address in the Remote IP field. If the IP address of the vendor’s gateway is not mentioned, specify any IP address since this connection is only used for associating a tariff with the vendor. · Specify the IP address and / or ID of the vendor’s gateway or switch. 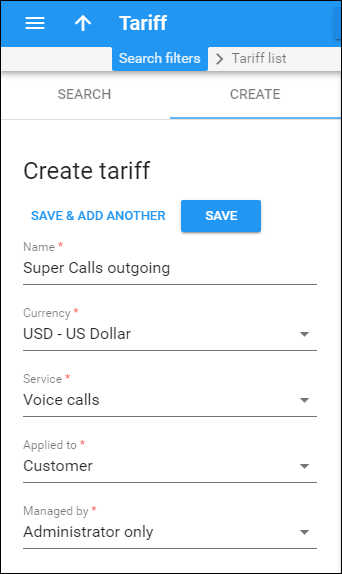 To enable your customers to make and receive calls it is necessary to create two tariffs: one to apply for outgoing calls and another one for incoming calls and then to enter the rates to these tariffs. Please follow the steps described in the Create Customer Tariffs and Enter Rates sections of the Basic Residential VoIP Service handbook to create customer tariffs. 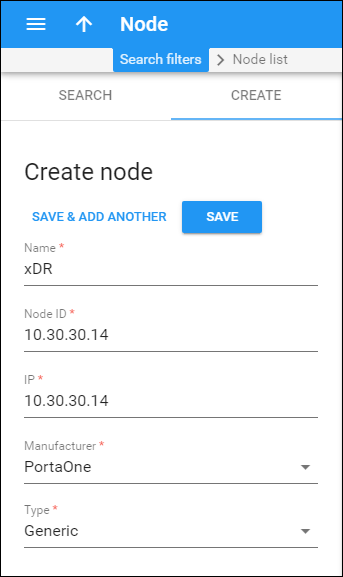 · Node – Select the node you created for the xDR import (xDR in our example). · Node – The node you have created for the xDR import (xDR in our example). · Access code – Type INCOMING into this field. 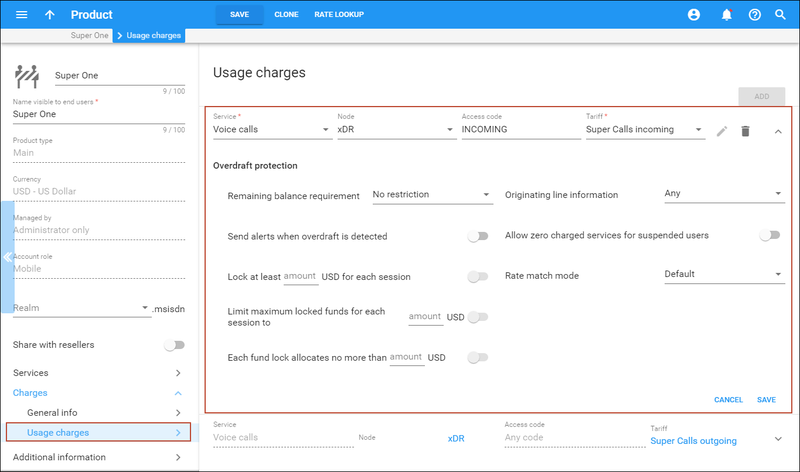 · Tariff – The tariff that will be used to calculate charges for incoming calls. 6. Click the Save button in the toolbar to save the product. 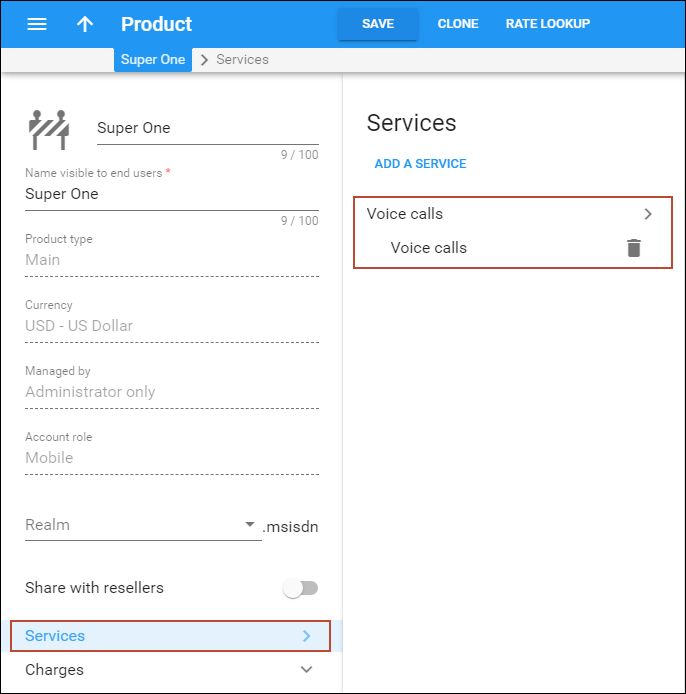 Now you are done with configuring the Voice calls service. Configure the remaining Internet Access and Messaging services as described in the Broadband Internet Access Services and SMS Services handbooks, and include them in the bundled product. In order to provision SIM cards, they must be entered into the SIM Card Inventory – the unified storage space for the provisioned SIM cards. SIM cards can be added to a SIM card inventory either manually, i.e. one at a time, or can be bulk uploaded from a .csv file. 1. From the Infrastructure section, select Inventory and then SIM cards. · IMSI – Enter the unique International Mobile Subscriber Identity of the card here. · ICCID – Type the SIM card’s unique serial number into this field (it can be found on the back of the SIM card). (The minimum length is ‘19’). · AMF – Specify the authentication code to be added to the SIM authentication request. · HLR – Specify the home location register name. The maximum number of text characters is 255. · Description – Provide a description for this SIM card. 4. Repeat steps 1-4 to enter more SIM cards into the SIM card inventory. 1. From the Infrastructure section of the main menu select Inventory and then SIM cards. 3. In the Upload SIM Cards dialog box, specify the file location (click Browse and select the path to the .csv file), and then click Upload. Find out more about SIM card upload and the .csv file structure in the PortaBilling® Help. 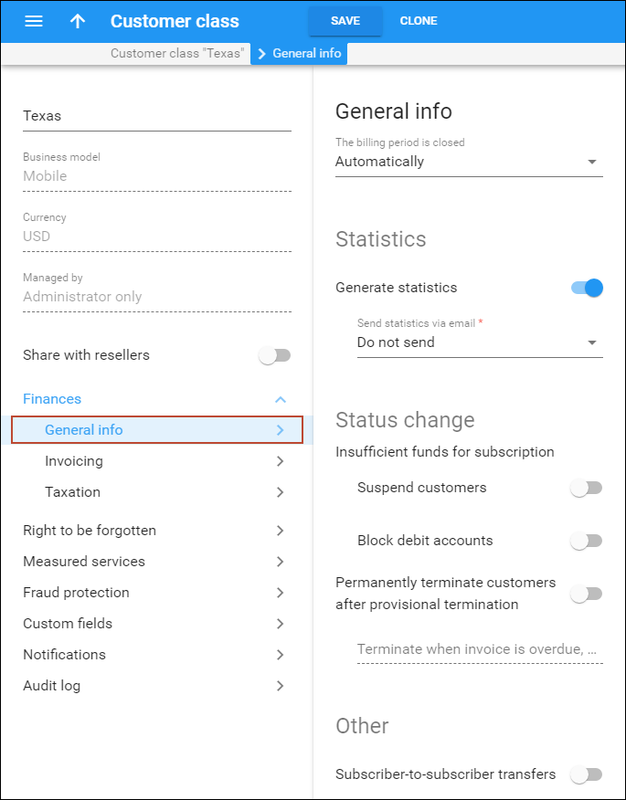 At the end of a billing period, you can produce invoices for your customers. The invoice reflects all transactions (calls, payments, refunds, subscription charges, etc.) that occurred during a specific period. It serves as the primary record of services provided to a certain customer as well as the primary record of their current status. 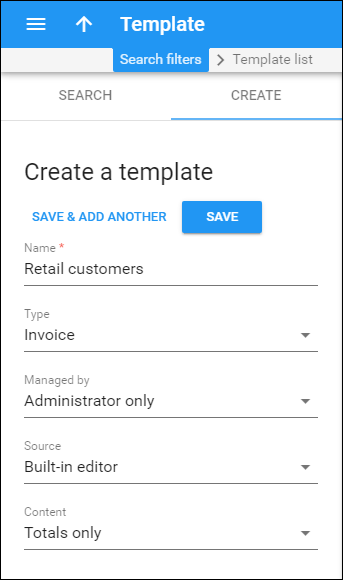 To enable invoice generation you need to create a template for the invoice layout first. Even if you do not plan to distribute invoices to customers (e.g. invoices are produced by an external accounting system), it is still a good idea to create a template and use the word “statement” instead of “invoice.” This way your customers will always have up-to-date information about the history of their service consumption. · Customer class – Customer class allows you to define a policy for automated payment collection. 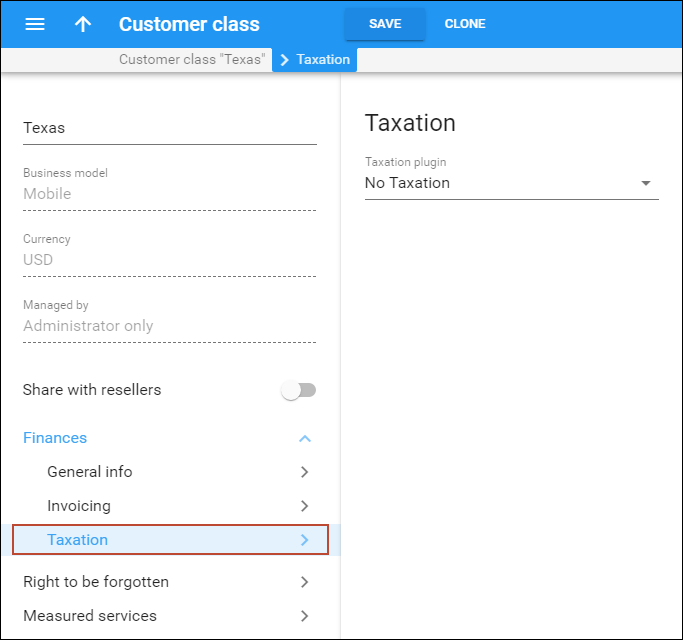 By choosing a specific class the customer automatically inherits all of the class properties (grace period, invoice template, etc.). 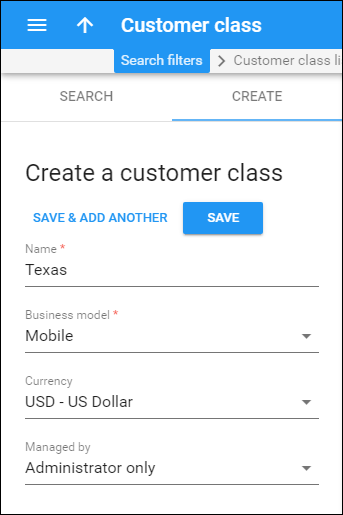 Select the previously created Texas customer class. 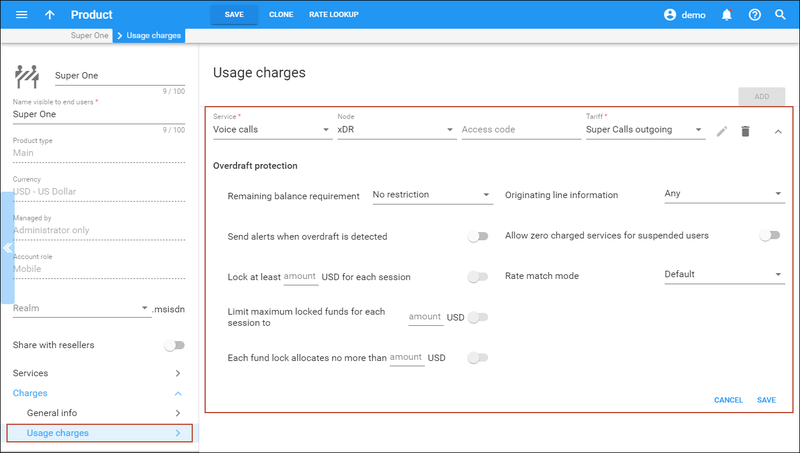 · Balance control – Since you import and process xDRs received from your MNO and then charge your customers, select Postpaid in this field. · ID – You can type in the user’s mobile phone number manually or provision it from the DID inventory. · Activation date – Select the date upon which the account can be usaed. By default, the account is activated immediately upon creation. If you operate as a SIP service provider (e.g. IP Centrex solution) and MVNO, you can enable your customers to have several phone numbers. One can be used for SIP services while another can be used for mobile services. In this case, there will be an account containing the actual balance and other billing information, and an account alias associated with it. When a phone number assigned as an alias is authenticated, PortaBilling® retrieves information about the main account and uses its balance, product and other parameters for all further operations. Let’s say that your IP Centrex customer EasyCall Ltd. wishes that their employees have one phone number for internal communication and another one for mobile services. 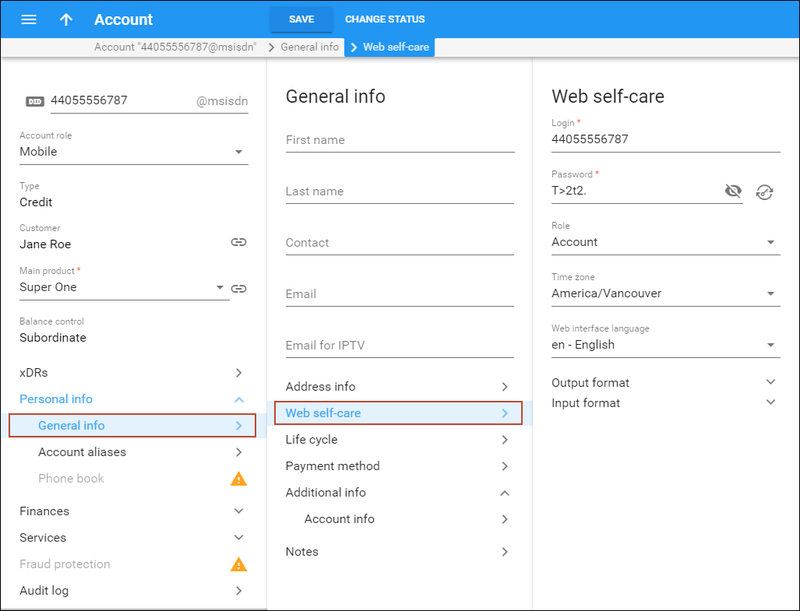 To do this, modify the configuration of the main product that is used for accessing SIP services and include access to the mobile services as described in the steps above. To differentiate among phone numbers used for SIP services and those used for mobile, it is necessary to assign an alias with the mobile account role to the account. 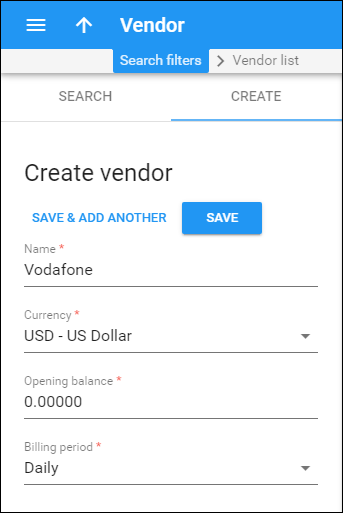 This is done by first creating an add-on product with a mobile account role and then assigning this add-on to the main account. 1. 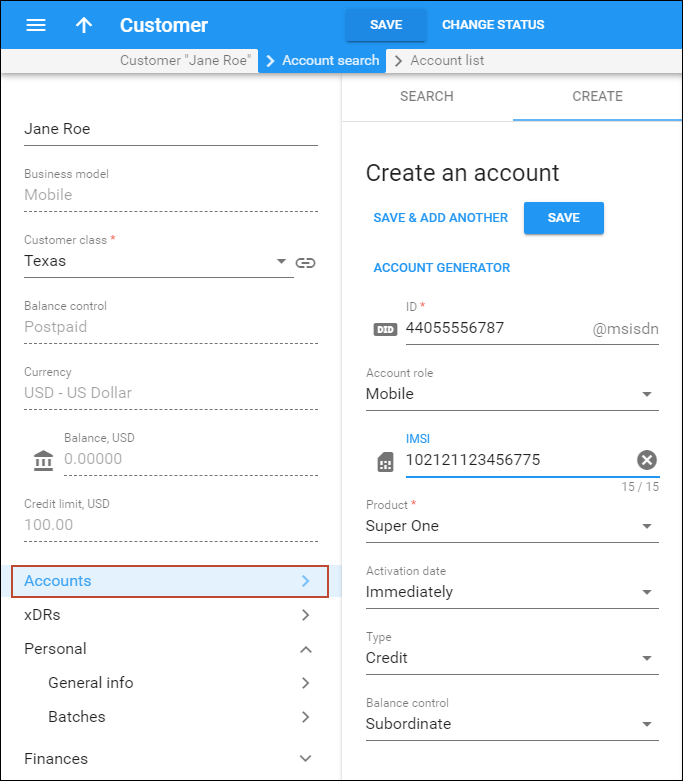 Create an add-on product with the Mobile account role and associate it with the main product. 3. From the Edit product panel select Additional information. 4. On the Additional information panel click Add product for the Add-on product is allowed with option. 5. Select the main product and click OK.
7. 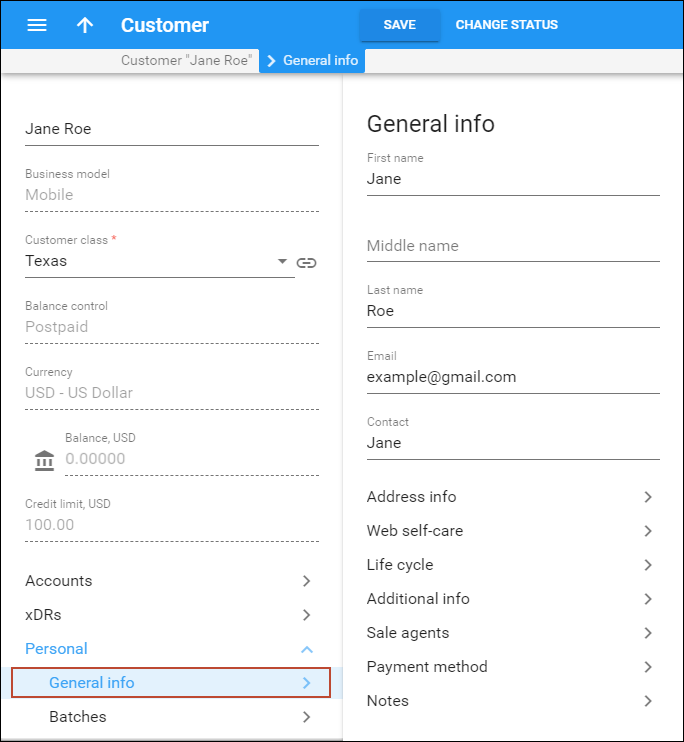 Find the account you wish to modify and on the Edit account panel select Finances, then Add-on products. 8. On the Select add-on products to add panel select the add-on product to be used with the main one for the SIP services. 10. From the Personal info section select Aliases and then click Add. · ID – Type in the mobile phone number. 11. On the Account toolbar click Save.